The King of Cool – Dean Martin (born Dino Paul Crocetti; June 7, 1917) conquered more mediums than any other star in his day and that record may still hold today. Some people are cool in one or two aspects of their life. Some actually become cool while others merely strive to be cool. A very few are born cool. Dino Paul Crocetti epitomized cool. When Martin split from Lewis, he needed to re-invent himself, to create a unique persona to distinguish him from other performers. 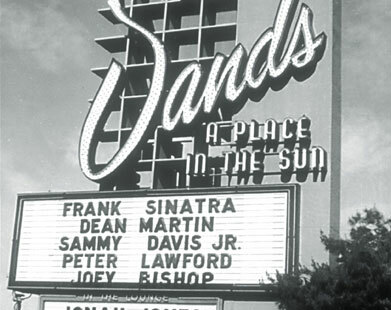 Dean added the slightly tipsy act to his already always warm, welcoming and fun-loving personality in April of 1957 when he stepped onto the stage of The Sands Hotel in Las Vegas for his first solo appearance. The crowd was soon roaring with laughter and approval. Dean was an instant hit and the audiences never stopped loving him. Early in his career Dean’s acting was relatively one dimensional, especially in his movies with Jerry Lewis. It wasn’t until his solo career that he truly began to stretch and grow as a talented major league star. Martin’s acting began to mature when he partnered with Sinatra in the film Some Came Running . 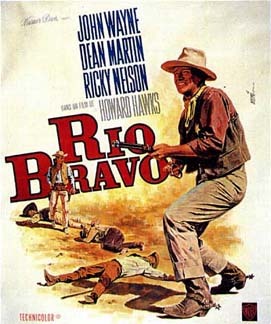 His role as the drunken deputy to John Wayne in Rio Bravo remains unforgettable to this day. His co-starring role beside Marlon Brando and Montgomery Clift in the hit film The Young Lions really brought popularity to his knack for just playing himself on screen. And his contributions to Bandolero! , The Sons of Katie Elder , Kiss Me, Stupid or the original Ocean’s 11 are the stuff from which legends are made. By the early 1960’s, Dino had regained his place in Hollywood and was once again a major film, television and recording star. Dean’s music is smooth and warm and relaxing. It never fails to bring a smile, or lighten a mood. It is obvious to anyone who listens that Dean simply loved to sing. He makes you believe that he is singing for his own enjoyment and only to an audience of one – yourself. 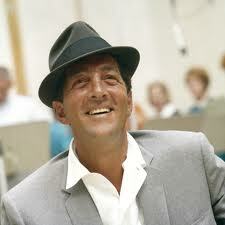 If you’re wanting to experience the music of Dean Martin, I recommend listening to…. This Time I’m Swingin’! with Nelson Riddle conducting. A swingin’ version of “On the Street Where you Live”. French Style/Dino Latino … beautiful, rich orchestration.